← The Wettest May Ever! 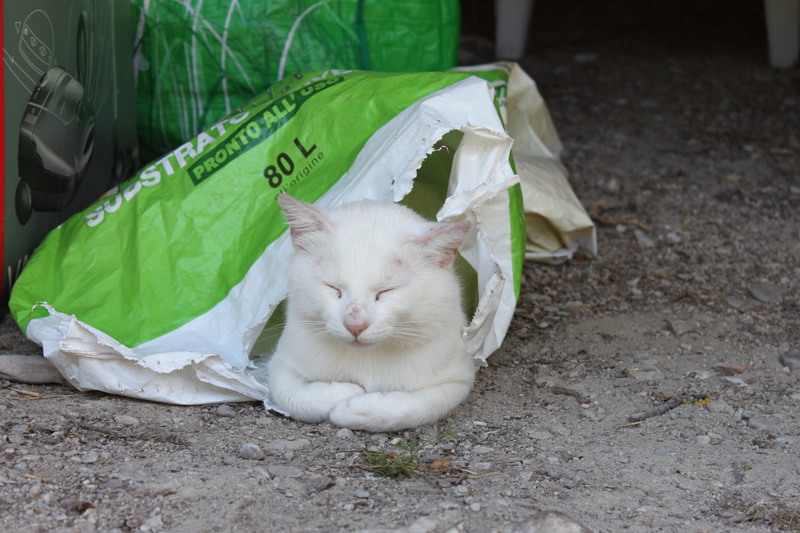 Our friends here keep telling us that no Umbrian farm house is complete without a cat. Well, this guy finally found us. He emerged out of the woods one day in April and hasn’t left since. Really the perfect outdoor cat, he stays outside 24-7, doesn’t mind being petted (though definitely not a lap cat) and supplements his store-bought dinner with foraged fare. Meet Biancchino (little white one). As a part-time community-college instructor, I have a double life: working and living a wonderful life in the U.S. 's best town ever (Berkeley); and living and working in the wonderful Umbrian countryside whenever I can. Husband Terry and daughters Ingrid and Nina play along.